Last year my electric coffeemaker broke. I was about to buy another when I stumbled upon reviews of something called an AeroPress, a $30 single-serving plastic device that looks like a hand pump and, in the opinion of some of the world’s leading coffee snobs, outperforms thousand-dollar espresso machines. I ordered one and it rocked my world. The coffee was great—smooth and rich—and best of all, the gadget pretty much cleaned itself. And replacement filters cost a fraction of what Melitta and others charge. 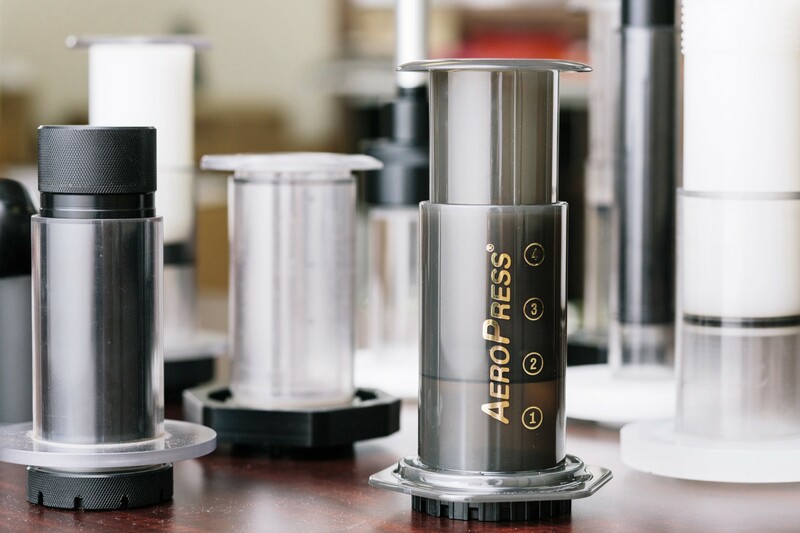 The AeroPress gets its name from a sister product made by the same company: the Aerobie, a dinner-plate-sized ring that outflies a Frisbee by a mile. 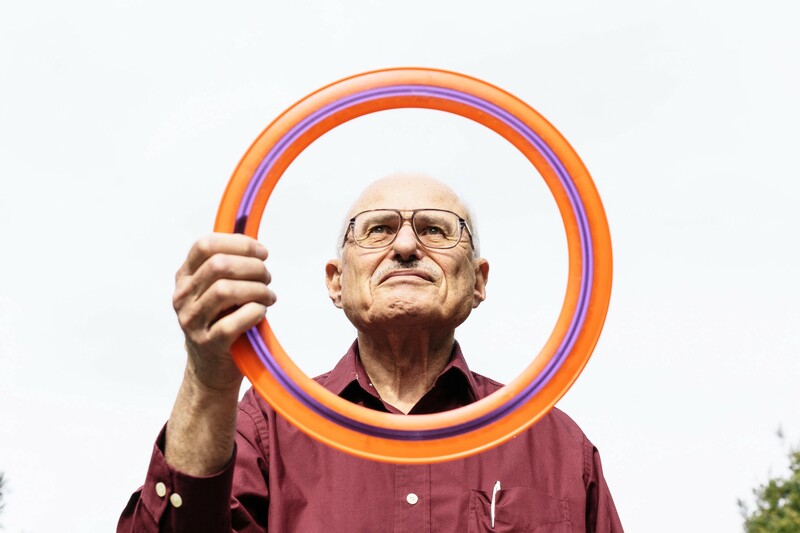 I know all about the Aerobie because one of its most fervent enthusiasts is the famous MIT hacker Bill Gosper, who travels with a trunkful of Aerobies in his car. (Gosper’s license plate reads… “Aerobie.”) I found it fascinating that the same wizard of aerodynamics who had invented the Aerobie has whipped up turbulence in the world of coffee. So I recently ventured to the small suite towards the back of a tiny industrial complex near 101 in Palo Alto, the home of the Aerobie company and its unsung master maker, Alan Adler. 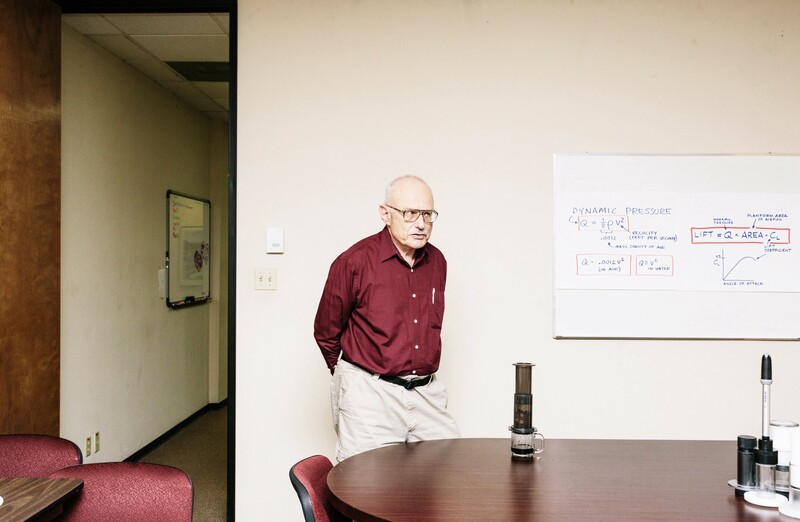 At 75, he is still at it, the canonical independent inventor, digging in file drawers for blueprints, shuffling to a storage space to locate an early version of his long-flying disk, lining up AeroPress prototypes like the iconic illustration of Darwin’s vision of the evolution of man. Across the room is his granddaughter, who does his PR. 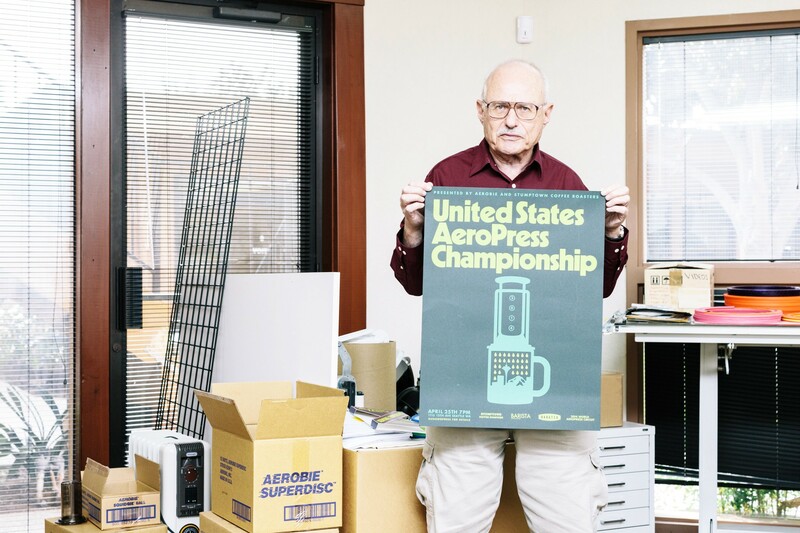 If the Maker Movement needs someone to put on its postage stamp, Adler would be perfect. He agreed to speak to Backchannel about coffee, flying saucers and invention. The interview is edited for length and clarity. Where did you get the idea for the AeroPress? I was having a conversation with the wife of our sales manager. We were commiserating about the fact that when you tried to make a single cup of coffee in a drip machine, it came out kind of watery and didn’t really work. I took that as a challenge, and started experimenting with a simple manual pour-over in a cone that you would put on top of a cup. What did you know about coffee before that? What I knew was that if you brewed your coffee at lower than boiling temperature it tasted sweeter. I had learned that from a little slip of paper that was packed in a Chemex coffee maker that we bought twenty years earlier. That’s not much. So how did you start? I began just by tasting the coffee, and I found that 175 degree water made the best-tasting coffee with a pour over, which is well below boiling. But I was troubled by the fact that the drip-through took about four or five minutes. I believe that if lower temperature makes the coffee sweeter, a shorter time will as well. I tried pushing with various instruments down on this slurry of coffee in the cone, and it did absolutely nothing. Pressing on it didn’t shorten the time at all. I realized that I had to contain it somehow in an airtight chamber so I could apply pressure to shorten the time. So I drew a sketch and I made something in my shop. And it just tasted delicious. It tasted so much less bitter than regular drip coffee. How many iterations total did you go through before you got it right? Forty. The very first one was a lot like this [he shows a prototype that looks like a bicycle pump] and I could immediately just see how well it worked. But I didn’t know how to use my own invention. I had some idea that I would just push it through in a few seconds. I expected it to go whump and be done. I should have realized that even an ordinary espresso machine takes about twenty five seconds to pull a first great shot. You wouldn’t steep it at all? No I’d stir it for a little bit. And at first I was stirring it in a cup and then pouring the slurry into the AeroPress. Later on I learned that I could stir it right in the AeroPress. This would have been in the early half of 1994. I ordered production molds once I had a finalized design. But before that I made four or five identical prototypes by hand. I wanted to put them into the hands of somebody who didn’t know me. My business manager’s wife is a principal of a high school. We gave it to four teachers there and asked them to take it home and make coffee with it for a week. They all loved it. One small suggestion from one of them was it tended to roll around on her counter top. So I fixed that by making the end hexagonal, and I ordered the production molds. 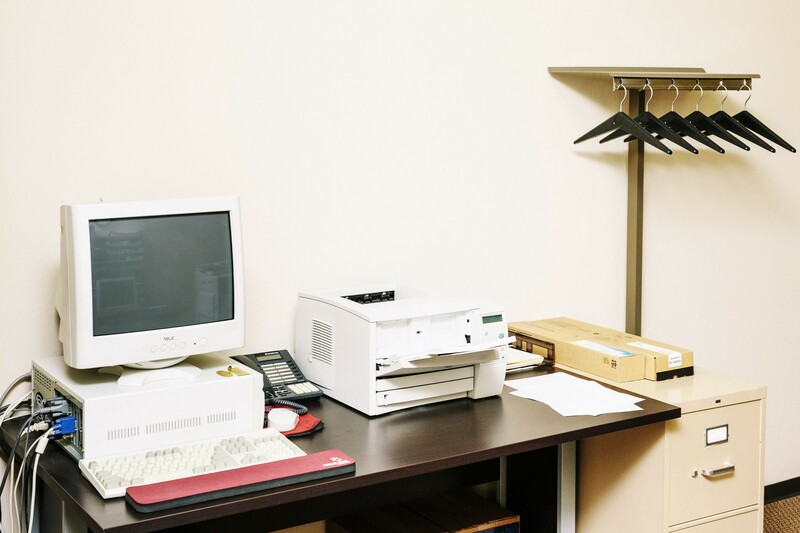 Was this a big investment for your small company? Well, it was over a hundred thousand dollars. And we didn’t have a sales force to sell into this market. We were configured for sporting goods and toys. We’ll get back to coffee, but first tell me how you got to be an inventor. Did you start tinkering as a child? I was born in May 1938 in Detroit but my family moved to LA on my sixth birthday. As a child I made things out of very primitive stuff, whatever I could find. I would scotch-tape a nail to the railroad tracks near our house and when the train ironed it out flat I would take it and I would file this flattened piece of steel a little bit and make a little handle for it and make a miniature sword. I used to trade them to my friends for other toys. My father wasn’t handy in any way, he never fixed anything around the house. When I was around eight, my mother took a course that was given for housewives on how to make repairs around the home. She was taught how to replace a plug on an electric cord and a washer and a faucet. And she taught me how to do it. I started going around the neighborhood, doing that for people for anywhere from ten to fifteen cents a job. Did you go on to study science and engineering in school? I got a job as an electronics technician in my late teens and very swiftly started taking on engineering tasks, I’m self-taught. No, but but I taught college. I taught at Stanford for many years. I taught a course in sensors and also mentored mechanical engineering students and I still lecture there. I certainly had the ability [as a student] but I didn’t always have the discipline to do all the work. I recall one incident in plane geometry class where I submitted a very unusual proof and the teacher asked me to do the proof on the blackboard for the rest of the class, which I did. And she looked sort of stunned. I realized afterward that she thought that my father must have done that proof, which he couldn’t do actually. My grades were about average. I was eager to get out and earn a living and be on my own. 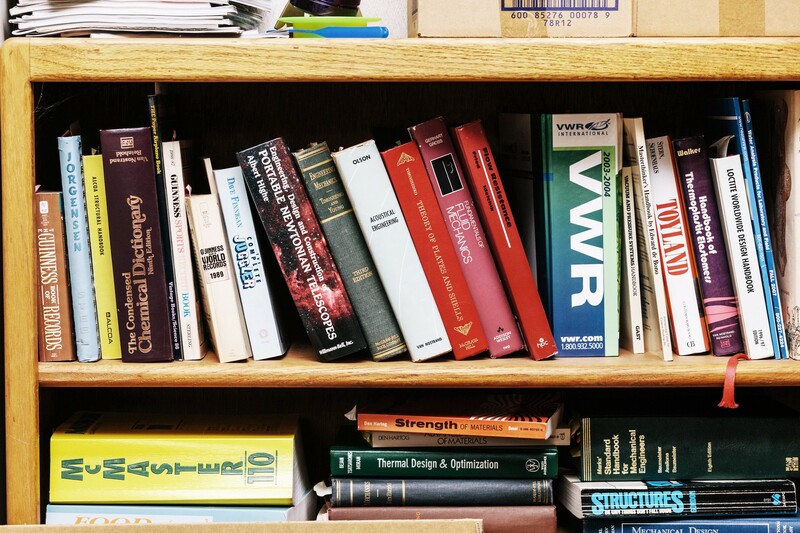 How did you learn the sophisticated principles at work in your inventions? I read voraciously. When I first took on the responsibility of being an engineer and designing circuits, I probably read till 1:00 every single night for weeks. When did you start working on projects of your own? Very early. I got my first patent in the early 1960s. It was a portable lamp, which had a circuit which converted three-volt battery power into high voltage to power a fluorescent bulb. But it never got into production. I submitted it to a number of flashlight manufacturers without acceptance. Rayovac eventually brought out something almost identical to what I had submitted but they didn’t buy a license from me. I designed a toy called the Slapsie, which was a bunch of interlocking plates that moved like a Slinky toy moves. And I licensed that to Wham-O. How did you make that deal? I made a prototype out of wood and I spent about a year submitting that to about a dozen companies, including Wham-O twice. At the end of a year, I had all rejections. So I approached a molding company to actually make molds of my design to pop together. Then I called up Wham-O and explained that I had molded plastic prototypes, and they agreed to see me. Previously they had only agreed to accept submissions by mail. I went to Wham-O in San Gabriel, California, with a whole suitcase full of these products. And they loved it. They told me that that year they had had ten thousand submissions and mine was the only one they bought. They put it into production but it never sold real well. And I have the rights to it today. What led you to improve on the Frisbee? Whenever I played with a Frisbee I was conscious of how thick it was. It’s over an inch thick and has to push a lot of air out of the way in order to fly. So I set about trying to design a thin Frisbee. And I made many, many thin discs but I wasn’t satisfied with the straightness of flight so I began to experiment with rings, and I came up with Skyro, a ring that flew much, much farther, more than twice as far. They sold about a million and they set a couple nice World Records. But theoretically it was only stable at one speed. It would sail fine but not as straight. I set about trying to come up with a disk that was stable at all speeds. By this time Parker Brothers had made a million Skyros and returned the rights to me. Eventually I developed a little ridge on the perimeter, [like an airfoil]. The effect of that was just absolutely magical. Have Aerobies sold more than Frisbees now? I don’t think so. But we’re well over ten million. Let’s get back to the AeroPress. One coffee expert said, “It produces a better espresso style coffee than many home machines that cost twenty or thirty times as much.” How did you decide what to charge? With small items like this most companies find it necessary to charge roughly twice what it cost them to make something and that covers the sales commissions, the overhead and everything. So that’s basically what happens. And then the retailer doubles it again. Even the filters are cheap. Generally it’s three hundred and fifty filters for about three dollars and fifty cents. And you can even reuse them. I did for years. And my wife was always saying to me, “Alan you don’t have to reuse filters, you have all the filters you want,” so I’m not doing it so much anymore. How many times would you reuse them? I love that the AeroPress is self-cleaning. Was that a design goal from the beginning? Total good luck. It was what I call serendipity. We do almost no advertising. We work hard to get it in front of people who write about coffee. We’re into the millions. I don’t know the exact number. I could find out but we probably would keep it confidential anyway. I’ve heard that some AeroPress users practice what they call inverted brewing — they use it upside down and steep it longer. Do you endorse that? The thing that makes AeroPress coffee taste good is the short steep time. I think that the inverted method, which is the way of extending the steep time, makes more bitter coffee. Also, the AeroPress is hack-able. Yes it is, and that’s led to the AeroPress championships, which is another huge serendipitous thing that I wouldn’t have imagined in a million years. What are some of the crazier things that you’ve found people do in terms of hacking the AeroPress? 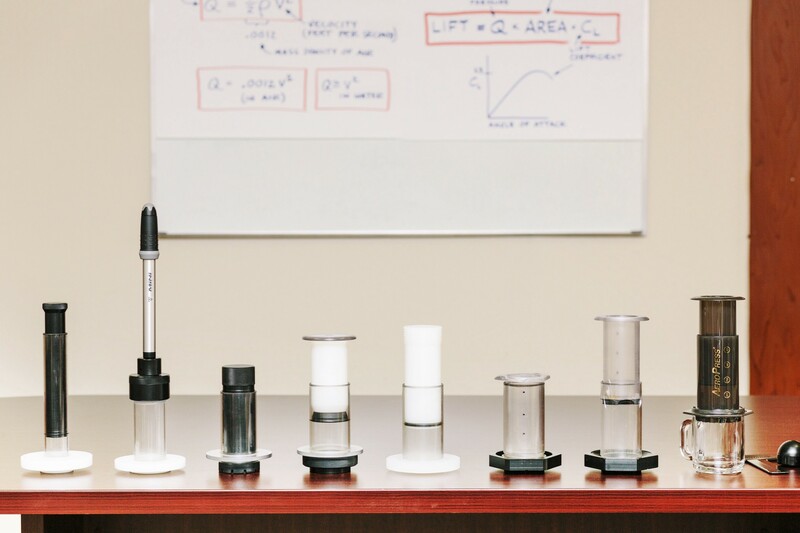 One guy made drip coffee and then put it through the AeroPress—put the drip coffee through the AeroPress instead of straight water—that’s pretty far out. There was a period where the inverted method won the world championship for a year or two. More recently, all of the winners, including the top three in the United States Championship, used the regular method. In fact, the guy who won the US Championship last year was about as close to our instruction sheet as anybody in the contest was. Everybody raves about Blue Bottle Coffee—they make a big show of doing an elaborate pour over. Would they be better off just ditching that and getting AeroPresses? Yes. Because it’s a shorter wet time and it’s less bitter. So why has Blue Bottle taken off? It’s probably their beans. They produce good beans. What is the most common mistake people make with the AeroPress? They press too hard. I tell people to press gently and it shortens the wet time to press gently because it doesn’t compress the puck. And the shorter wet time makes a sweeter cup. How much coffee do you drink now? I drink a double in the morning and perhaps a second cup once a week. But the majority of days I just drink my morning double. Lately I’ve been thinking about exercise equipment. I’m thinking of devices that would be so much fun to use that people would enjoy using them. Right now I row. And that’s not necessarily fun but I don’t mind it either. I’ve been thinking of devices that you could just pick up and carry as opposed to something that’s a big piece of furniture. I’ve thought about it off and on for years and I’ve done a lot of calculations and some experiments, but I am not in the throes of a particular design right now.